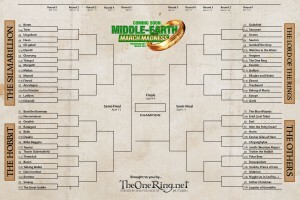 Middle-earth March Madness is on! As we come to the end of Round 1, we realize that there may be some names in these brackets that you don’t recognize. It’s okay. In the entire pantheon of Middle-earth, there are a lot of names. We can’t expect all of them to stick – especially those from such dense sources as The Silmarillion. Our live Sunday show, TORn Book Club (hosted by yours truly), is currently going through the book chapter-by-chapter as a primer for those who want to read it but may be intimidated by the huge scope of the story. 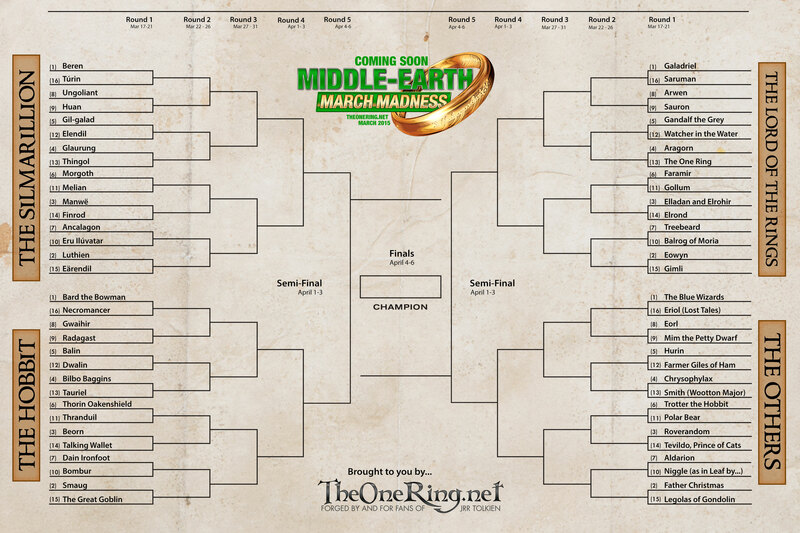 With that in mind, I’m here to go through the Silmarillion characters listed in our March Madness and give you a little glimpse into who they are so that you can cast your vote with more confidence. Just as a warning, this will go into some spoilers for The Silmarillion, but I’ll do my best to keep them to a minimum. It should also be noted that these are just summaries, and they may skip over various details to get to the heart of the subject. I will also do my best to keep my opinions to myself and not play favorites. Beren – Beren son of Barahir is best known as one of the two main characters from the tale of Beren and Lúthien, an action-packed romance. Beren, one of the few survivors of a terrible battle with the Dark Lord, Morgoth, lived as an outlaw until he was driven by Sauron through dark and terrible lands until he finally reached the protected Elf forest of Doriath. There he met and fell in love with Lúthien, daughter of the Elven king Thingol. Thingol, unwilling to give his daughter’s hand in marriage to a lowly Man, told Beren that he could wed Lúthien if – and only if – he could steal a Silmaril, one of the most prized jewels in all of Middle-earth, from the crown of Morgoth himself. Thingol’s presumption was that Beren would either fail or die in the attempt. Either way, Lúthien would not be able to marry him. But Beren was undaunted, and he undertook a great adventure with Lúthien to reach Morgoth’s stronghold of Angband (an adventure so huge, it could probably be its own film trilogy). In the end, Beren was able to fulfill his task and steal a Silmaril, but he ended up receiving a mortal wound and succumbing. What did Lúthien do about that? Well, I’ll get to her later on. Túrin – (WARNING: This summary contains larger-than-average spoilers) Túrin Turambar is probably one of the most tragic characters ever written by Tolkien. Just like Beren and Lúthien, Túrin’s story is a huge one – so big, in fact, that it is its own separate novel: The Children of Húrin. Just like Beren, Túrin’s family was involved in a great battle with Morgoth. They were defeated, and Túrin’s father, Húrin, was captured by Morgoth, who then cursed him and his family. Túrin fled to the forest of Doriath. King Thingol, his heart softened by the deeds of Beren, was much more welcoming this time around. Túrin lived for years in Doriath, until he got into an argument with an Elf named Saeros who didn’t care too much for Men. In the heat of the argument Saeros was killed, and fearing for his own life, Túrin fled Doriath and took up with outlaws. He developed a great reputation as a feared warrior, and eventually came to another secret Elven kingdom called Nargothrond. 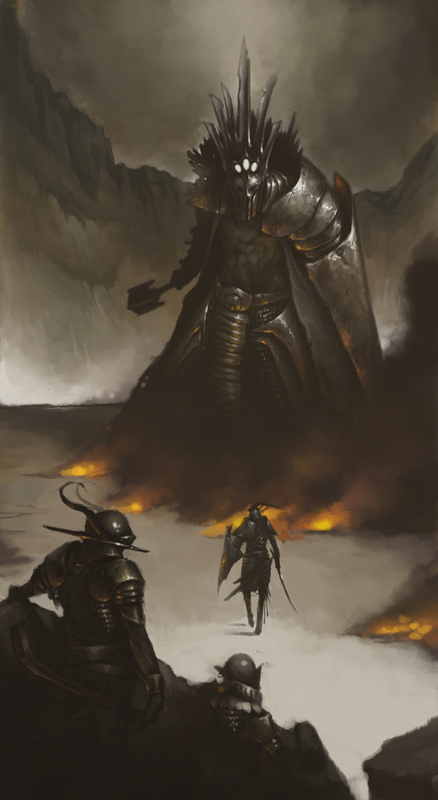 Eventually, he was able to convince Orodreth, the king of Nargothrond, to open up his gates and fight Morgoth openly. This decision was so bad, the Valar Ulmo, lord of the waters, tried to convince Túrin not to go through with it. But go through with it, he did. And, just as Ulmo predicted, Nargothrond was besieged by Morgoth’s forces, led by Glaurung, the father of Dragons. One by one, all of his friends were killed. Túrin, wracked with guilt, went back to life as a vagabond and outlaw. Meanwhile, Túrin’s mother Morwen and long-lost sister Nienor left their safe home in order to find him. Eventually, they came upon the ruined Nargothrond and Glaurung, who had taken up residence there. Glaurung killed everybody, but left Nienor alive, opting instead to cast a spell on her, removing her memory. Túrin found her and named her Níniel. Eventually, they fell in love and were married, neither one of them aware of who the other truly was. Believing that he had finally found happiness, Túrin gave up his life as a warrior to live out his days with his new wife. 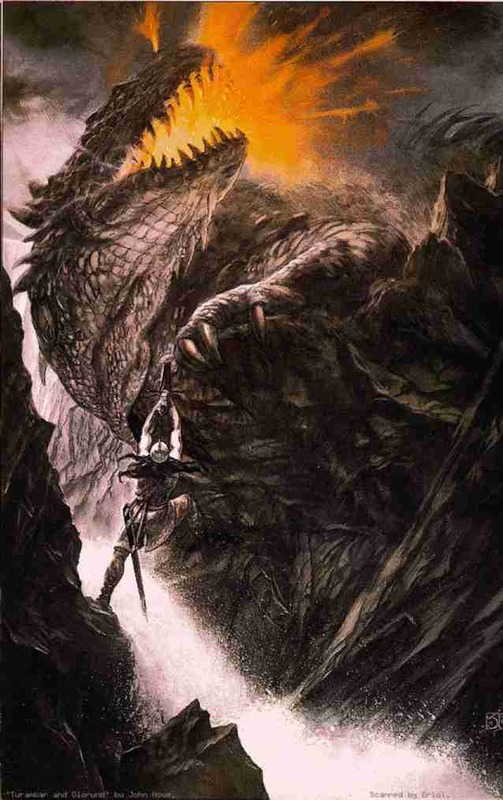 Glaurung, however, was not done with Túrin, and eventually left Nargothrond to take the fight to him. Reluctantly, Túrin took up his sword one last time to fight the great dragon. He dealt Glauring a fatal wound, but was knocked unconscious in the process. While Túrin was out cold, Nienor approached the dying dragon. With his last breath, Glaurung removed the spell, and she regained her memory. Horrified at what she had done, she killed herself. Túrin, upon waking, learned of her death and who she truly was, and fell on his sword in grief. Ungoliant – Simply put, Ungoliant is a being of pure malice. She took up the form of a giant spider, but she was much more than just that. Her origins are something of a mystery, but she is most basically identified as a primeval spirit of the night. She first appeared on the island of Valinor, and was convinced by Melkor (also known as Morgoth) to help him in overthrowing the Valar and tearing down the Trees of Valinor, the source of all light in the world. He promised her anything, but she wanted the Silmarils, which he coveted too much. 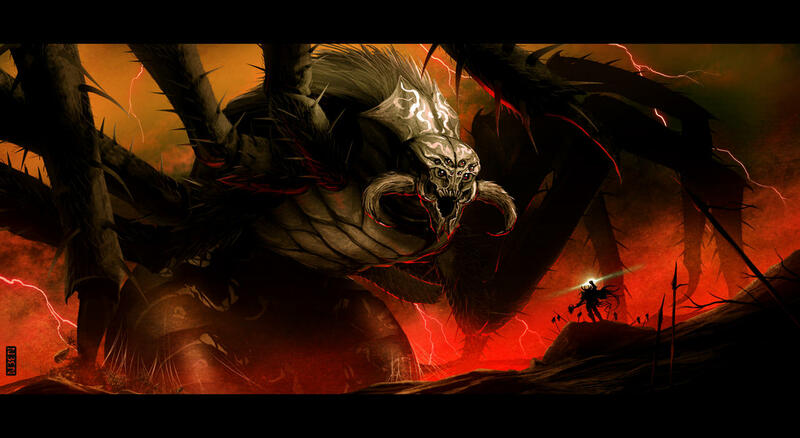 Unable to control Ungoliant and her insatiable hunger, Morgoth had his Balrogs drive her away. But she left a trail of darkness behind her, and eventually took up residence in a mountain range where she spawned so much evil that the mountains were named Ered Gorgoroth, “The Mountains of Terror”. Eventually, unable to satisfy her own hunger, she finally devoured herself. Think about that. Ungoliant was so evil and malicious, the literal Lord of Darkness thought she went too far. Huan – This is another character from the tale of Beren and Lúthien. Huan was a great hound from the land of Valinor, who served the two Elf princes Celegorm and Curufin. After Beren left Doriath on his quest for a Silmaril, Lúthien went after him and was intercepted by Celegorm and Curufin, who hoped to wed her and forge an alliance with her father. Huan betrayed his masters and helped Lúthien escape, and also accompanied her in her quest to find Beren, who at that point was imprisoned by Sauron. The two of them took on Sauron’s army of orcs and werewolves, and eventually rescued Beren when Huan defeated Sauron himself (in werewolf form) in single combat. Huan also helped Beren and Lúthien enter Morgoth’s fortress Angband, and eventually was killed fighting Morgoth’s guardian wolf, Carcharoth, who was driven mad after biting off Beren’s hand and swallowing the Silmaril he had just stolen. Gil-galad – He was the last of the great Elven kings. After the final defeat of Morgoth, and the reshaping of the world, he established a new Elven kingdom. He is best known for being the only Elf who saw through the ruse of a stranger named Annatar, who taught the Elven smiths how to forge rings of power. Yes, Annatar was Sauron. He helped to disperse and hide the rings of power from Sauron, and joined forces with Elendil, the king of Men, in the Last Alliance. Taking the fight to Mordor, he fought in single combat with Sauron and was killed. Elendil – He was one of the few survivors of the destruction of the great kingdom of Númenor. Traveling with his sons Isildur and Anárion, they established a new kingdom in Middle-earth, forsaking the dark and ultimately destructive history of their ancestors. 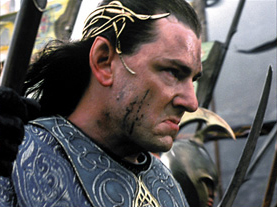 When Gil-galad gathered armies to march on Sauron in Mordor, Elendil joined the fight. Just like Gil-galad, Elendil was killed in single combat with Sauron. It was his son, Isildur, who would eventually defeat him. Glaurung – The Father of Dragons, Glaurung was the first and arguably one of the greatest. He’s also the most insidious of them. His appearance in the story of Túrin above is his most well-known appearance, and his actions are arguably quite despicable. Not happy with only killing his foes, he felt the need to toy with them. 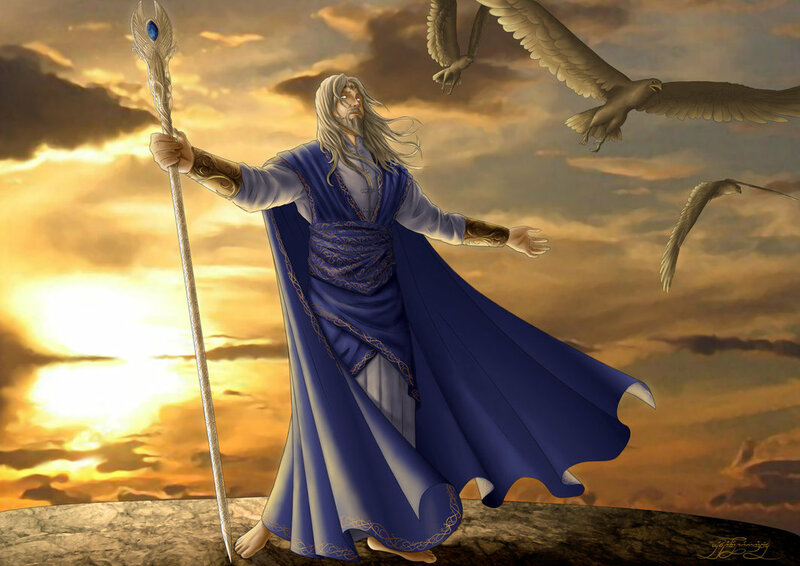 Thingol – He has been mentioned in a few entries above, but Thingol is an important character in his own right. He is one of the High Elven Kings, who established his domain in the forest of Doriath. Fighting in one of the early battles against Morgoth, he realized that he could not hope to defeat him openly, and opted instead for a more defensive stance. In Doriath, he established his underground stronghold of Menegroth. He also wed a Maia named Melian, and their daughter, Lúthien, was considered the fairest of all of the Elves. After gaining a Silmaril from Beren, Thingol fell victim to its corrupting power, and it eventually led to his downfall. Morgoth – This is the original Dark Lord. He began his existence as a spirit – or Ainur – named Melkor. He was the wisest and most powerful of the Ainur, but he was also the most ambitious. As the Ainur created a great symphony that would become the universe and the world, Melkor endeavored to disrupt it and make it his own. After the creation of Arda, the Kingdom of Earth, the Ainur descended to it and became the Valar, the powerful lords of the Earth. Because of his disrupting nature, Melkor was not made a Valar, but still descended to Arda in order to corrupt and destroy the Valar’s work. As he continued to corrupt and destroy, he gave in to hatred and malice. His dark intentions and corrupting powers eventually led to him being named “Morgoth” or “Black Foe of the World” by Fëanor, the creator of the Silmarils, after his theft of them. The First Age of Middle-earth is all about the wars against Morgoth waged by Elves, Men and Valar alike. Melian – Melian is a Maia, one of the Ainur who descended to Arda but did not play as large a part in the shaping of the world as the Valar. She loved the woods, and King Thingol found her and fell in love with her there. They wed and had a daughter, Lúthien. She was Thingol’s closest and most trusted counsellor. When Thingol chose to hide his kingdom in Doriath, she aided him by creating the Girdle of Melian, a boundary in the forest designed to thwart and frighten away anybody who would attempt to cross it. She is the only Ainu to ever wed an Elf or Man or have children with one. When Thingol was killed, she finally left Middle-earth and returned to Valinor where she mourned him for the rest of time. Manwë – He is the greatest of all of the Valar, and is named King of Arda. In the creation of Arda, his main focus was on the air and the heavens, and he commands the Eagles. He also keeps a watchful eye over all of Middle-earth from his hall in the top of the tower of Taniquetil in Valinor. He is the only Valar who has a direct connection to Eru Ilúvatar, the supreme being who created everything, and who is most privy to his plans. Finrod – Finrod was the Elven King who established the kingdom of Nargothrond. He was also the Elf who first discovered Men when they were first awakened by Eru Ilúvatar. He taught them of the world, and became very fond of them. In one of the great battles against Morgoth, Barahir, father to Beren saved Finrod’s life. Finrod swore an oath to repay that debt to Barahir, and gave him his ring as a symbol of that oath (you may remember that as the Ring of Barahir that Aragorn wears). When Beren began his quest to retrieve a Silmaril for Thingol, he called upon Finrod to fulfill his oath and join him in his quest. Finrod did so, and eventually repaid the oath by defending Beren against Sauron and sacrificing his life. Ancalagon – Ancalagon the Black was Morgoth’s greatest weapon against the Elves and the Valar in the War of Wrath, the final battle of the First Age. Ancalagon was the largest of all of the dragons, and he led a fleet of dragons against the Eagles, led by their great chief Thorondor, and the great Halfelven lord Eärendil. In the battle, eventually defeated and threw down Ancalagon, and the impact was so fierce that it destroyed Morgoth’s fortress of Thangorodrim. Eru Ilúvatar – Also known as the One, Eru Ilúvatar is the supreme being who created the world. Residing in the Void, he was the keeper of the Light Imperishable, the source of all life in the universe. He used it to create the Ainur, who he commanded to perform a great symphony. He gave them two themes, and the music the made from it created Arda, the Kingdom of Earth, and the Ainur descended to it to become Valar and Maiar. But he also created a third theme that was solely for his use, and that theme led to the creation of the Children of Ilúvatar: Elves and Men. They are solely his creation, and the Valar and Maiar have no direct power over them – though they can influence them. Eru Ilúvatar tends to let things play out as they will, as the events in Arda and Middle-earth are all part of a plan according to the themes he created. He only ever directly intervenes in the events of the world in the direst of circumstances. Lúthien – The daughter of Thingol and Melian, Lúthien Tinúviel is regarded as the most beautiful of all the Elves who ever walked in Middle-earth. She fell in love with Beren, who wandered into her land through great terrors. When he saw her dancing among the trees, he forgot all of the horrors he had seen and fought and named her Tinúviel which means “nightingale.” They spent a great deal of time in the woods of Doriath before Thingol finally discovered them. He commanded Beren to steal a Silmaril from the crown of Morgoth in order to win her hand in marriage. When Beren left on his quest, Lúthien secretly left Doriath to follow him and aid him. She met the Great Hound Huan when she was captured by the brothers Celegorm and Curufin, and he aided her in finding Beren. By then, Beren and his company had been captured by Sauron. Lúthien and Huan, disguised as aids to Sauron, infiltrated his fortress and defeated his orcs and werewolves. When Huan defeated and humiliated Sauron, Lúthien commanded him to leave the fortress and pass lordship of it to her. Once Sauron was gone, Lúthien found Beren grief-stricken because his entire company had been killed by Sauron’s werewolves. She convinced him to return with her to Doriath, but Beren had to fulfill the quest to win her hand. Using disguises again, Beren, Lúthien and Huan were able to sneak into Morgoth’s fortress, Angband – something never before accomplished by Elves or Men. In Morgoth’s great hall, Lúthien used the power of her song to put Morgoth and everybody within the sound of her voice into a deep sleep. Beren was able to pry a Silmaril from Morgoth’s crown, but his blade snapped in his attempt to take all three. The shard pierced Morgoth and woke him, prompting Beren and Lúthien to flee with the Silmaril. They were waylaid at the entrance to Angband by Carcharoth, the greatest of the werewolves. Beren attempted to fend him off with the light of the Silmaril, but Carcharoth bit off his hand and swallowed the jewel. Beren and Lúthien were then spirited back to Doriath by the Eagles before they were overtaken by Morgoth’s forces. Beren told Thingol of what happened, and he agreed to allow Lúthien to marry him, but there was still the matter of the wild Carcharoth and the Silmaril. Beren and Huan joined the hunting party, and both received mortal wounds before killing the wolf and retrieving the Silmaril. Beren was taken back to Doriath and died. Since Men leave the world when they die, Lúthien pleaded with him to meet her in Valinor before succumbing to her own grief at his loss and dying. In Valinor, Lúthien pleaded with the Valar to give them both a mortal life and to live out their days in peace. The Valar, moved by her song and heartfelt plea, agreed to her request. Beren and Lúthien returned to Doriath, and lived a long second life and had a son, Dior, who would become Thingol’s heir. Eärendil – Raised in the secret Elven kingdom of Gondolin, Eärendil is actually a Half-Elf. He was only a child when Morgoth learned of the location of Gondolin and sacked it. He and his surviving family escaped to the mouth of the great river Sirion, where Eärendil learned the art of being a shipbuilder and a mariner from Cirdan, the Elven Shipwright. 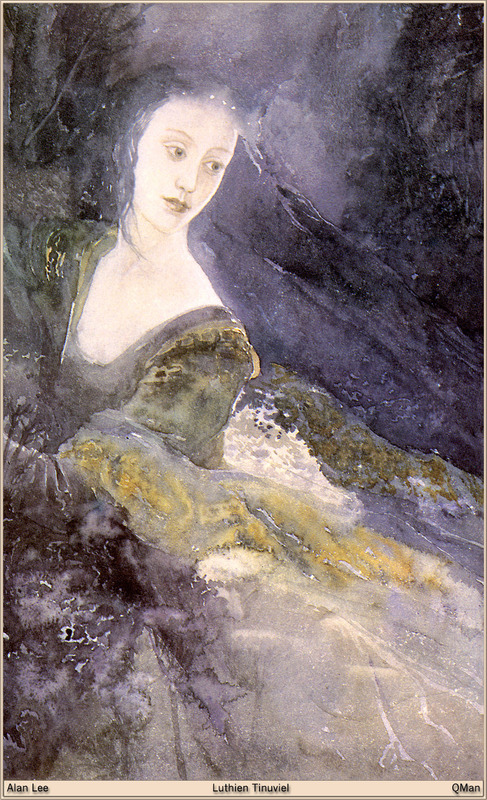 He eventually married Elwing, the granddaughter of Beren and Lúthien, who also possessed the stolen Silmaril. The other Elven Kings learned of Elwing’s Silmaril, and sent raiding parties after her in their kingdom of Arvernien when Eärendil was out to sea. But rather than let it fall into their hands, Elwing cast herself and the Silmaril into the sea. Because she had the Silmaril, the Valar Ulmo, Lord of the Seas, lifted her up and delivered her to Eärendil. Learning of what happened, Eärendil determined that the Elves were falling under the corrupting power of Morgoth, and that it was finally time for the Valar to intervene. He sailed his ship to Valinor, and was the first mortal to ever set foot on it alive. He begged the Valar to take up arms and aid Men and Elves in their fight against Morgoth, and they agreed. Since Eärendil had traveled to Valinor for Men and Elves and not for himself, he and Elwing were given a choice to live their lives either fully as Elf or as Mortal. Elwing chose to be an Elf, and Eärendil chose the same to be with her. Their children, Elrond and Elros were also given the same choice in their time. Once the choice was made, the Valar joined Eärendil’s host and lay siege to Morgoth’s fortress in the War of Wrath, the final battle of the First Age. Eärendil battled Ancalagon the Black, the mightiest of all dragons, and tore down the fortress Thangorodrim. When Morgoth was defeated, the Valar expelled him to the Void outside of existence. After the battle, Eärendil sailed his ship into the heavens where he sits as the brightest and most beloved star. It is prophecied that one day Morgoth will return to destroy Arda utterly, and Eärendil will also return to join the Valar in the final battle that will unmake the world and remake it in a brand new vision.